Requisition now has two new options. 1. Option to mark salary as an optional field when creating requisitions. Previously, if a requisition was enabled, non admin users were required to enter “compensation”. Now, users can make compensation “optional” for posting a job. The default is set to “Yes” so this new feature doesn’t impact existing users. 2. 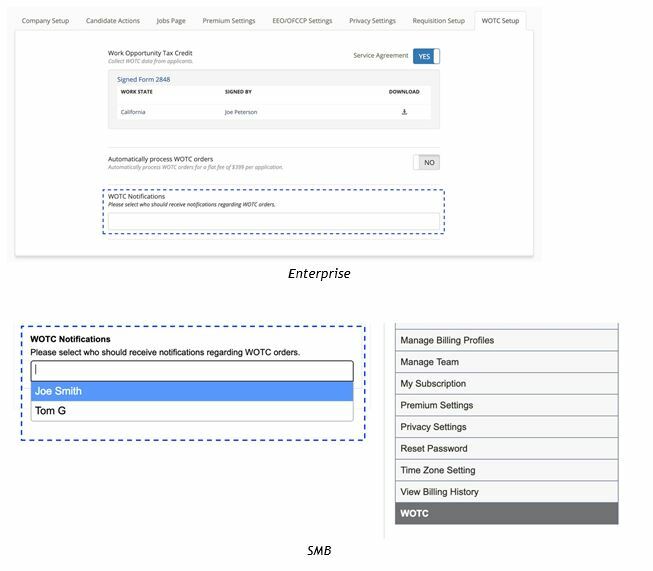 Option to turn off approval process for requisitions. If clients don’t require an approval for requisitions, they can turn it off. The default is set to “Yes” so it doesn’t impact existing users. 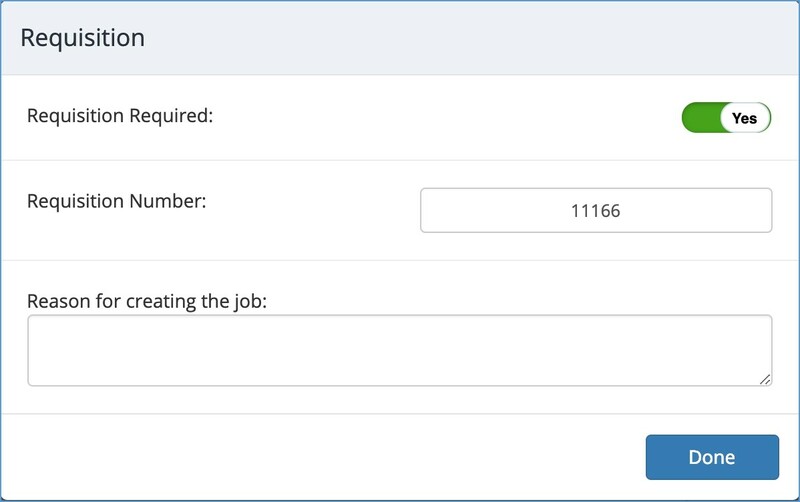 If approval is set to “No”, users will not see the approvers list on the requisition pop-up when creating a job but will still be able to create a requisition number for the job. The “Owner” now have the option to add other people to receive WOTC related notifications when an order gets created.